A Three Month Follow Up! Today I went in for a 3 month visit with my surgical oncologist. You may remember she is the first doctor I saw on the day I was diagnosed. I actually saw her just hours after I received the life changing phone call. Today was just a follow up appointment, like the ones I’ve been going to…where she checks me and we talk for a few minutes and then I leave…or so I thought it was! Today was all of the above except for I was moved to every SIX months. 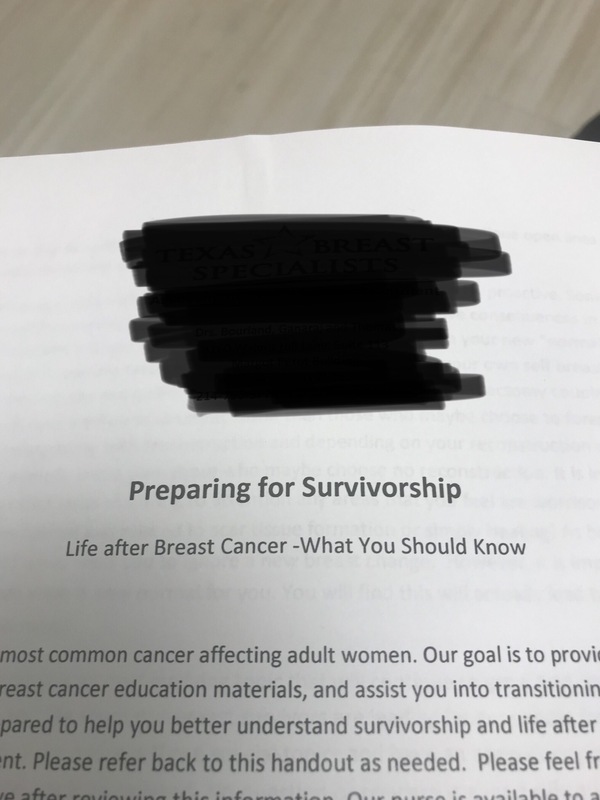 I received the paperwork “Preparing For Survivorship”. 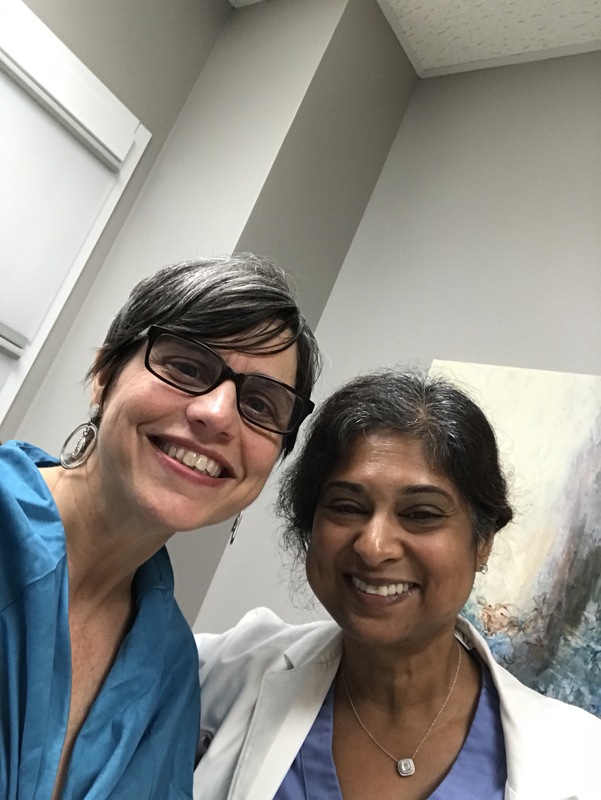 As soon as the nurse told me Dr. G was going to be discussing all that with me today the tears started…I told her I didn’t know why I was crying…she said something like it’s a big day and gave me tissues! side note: I am so thankful for sweet nurses and doctors!! I didn’t know if I should be happy or sad I would be seeing her every six months rather than every three. I can see the positive/happy side of that, I do not have a reason to have to be seen every 3 months by her, She is comfortable seeing me every 6 months…but I think it makes me a little calmer thinking I am being checked every 3 months…I will still be seeing my medical oncologist too and she has already moved me to every six months. SURVIVORSHIP is a big word! I do not mean it has lots of letters, it does have 12 letters but it has such a bigger meaning! I never thought that word would make me as emotional as it did today! She was right…it was a big day! 17 1/2 months ago, this day seemed so far away! I asked her today was my surgery day the day I consider as the anniversary date and she told me she counts it from the date of diagnosis!! I will celebrate October 11th, the day of my double mastectomy. The pathology from this surgery told us the cancer was GONE! Y’all, I am a 17 1/2 month survivor!!! Thank you all for your prayers through this journey and your continued prayers that cancer never shows up again!! September 20, 2018 in Uncategorized. Please get your yearly mammogram! I was diagnosed with breast cancer after my yearly mammogram.